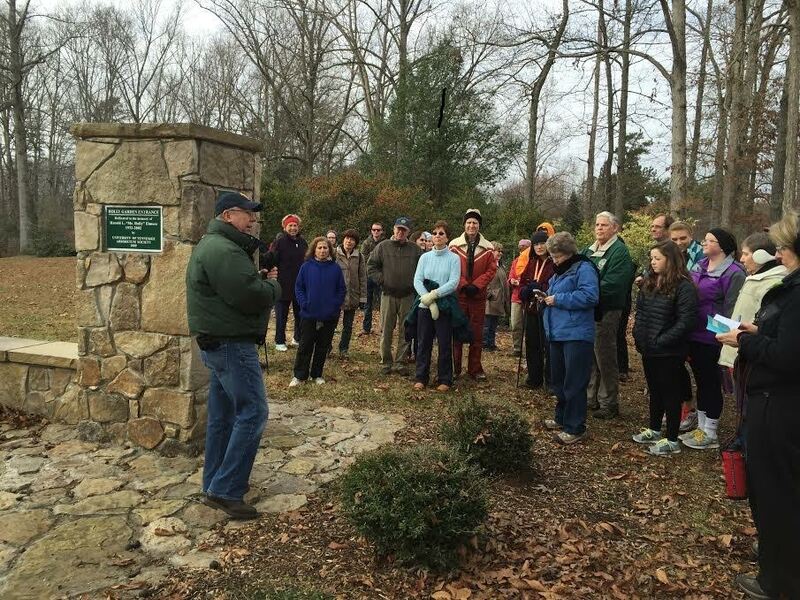 If you are overloaded on Football, Food and Festivities, The UT Arboretum Society is offering a great alternative: The Fourth Annual New Year’s Walk at the UT Arboretum, 901 S. Illinois Avenue in Oak Ridge, on Monday, January 1, 2018. Start out the year on the “right foot” by joining the walk that begins at 9:30 a.m. at the UT Arboretum Auditorium where you will be greeted by fellow hikers and offered coffee, hot chocolate and snacks. At 10:00 a.m. the group will leave for a guided walk that will last about 45 minutes. The hike will follow a forest trail and will visit the Elmore Holly Collection, giving participants the opportunity to see the hollies still covered with berries. This is an easy walk on the trails and is suitable for all ages. The Arboretum Society encourages everyone to come out to enjoy an outdoor respite before heading home to watch the bowl games on TV. This is a free program offered by the University of Tennessee Arboretum Society.